Welcome to The Money Gym! My name is Nicola Cairncross and in 2003, I wrote this book to share everything I’d learned about how money works. I’ve had some great mentors who have taught me a lot about getting out of debt, building a business, creating a passive income online, property investing and the stock market. I’ve taught myself about internet marketing. While I started out at age 38 completely clueless, everything’s changed for me now. It happened really quickly too, once I started taking responsibility for my own life! 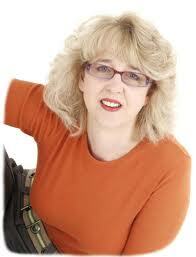 Then, In 2010, I re-wrote parts of the book to take into account the changes in the property market. It’s now time to rewrite the Stock Market section to take Cryptocurrencies into account and also the Internet section because everything has completely changed there too. First we saw websites and email marketing, then came blogging and social media and now, well it’s all changed again! This blog is where you can find those re-writes first. If you want to keep up to date with all new materials as I add them to this blog, just click here, download the existing book free of charge and I’ll update you every time I update this website. If you follow the Money Gym book step by step, if you do the exercises included, if you read the books recommended and then TAKE ACTION, within 90 days you will have dramatically improved the way you think about money, interact with money, and feel about money forever. I will go even further: If you do all this, you will also find that you will start to make more money, keep more money, make money while you sleep and make your existing money work for you. You will feel more confident about the decisions you make and feel so much happier about your financial future than you ever have before. How can I possibly make this promise? Because it happened to me. It’s happened to many, many Money Gym clients. And now, it could happen for you. So let’s get started on the first chapter! If you take each section of this book, within each chapter, you could use it as a day by day plan and aim to just read a section a day, let it sink in, then read the next section. If you DO work through this book using the day to day system, then you will increase your Financial Intelligence dramatically within just 90 days, especially if you take action. But there’s nothing stopping you reading from start to finish now, to fill in all the knowledge, and then take things at your own pace afterwards. It’s your book so do what feels right. On another point, many of the sections contain a key lesson drawn directly from the wealth of material included in The Money Gym Coaching Programmes contained within my Membership area at ClicksAndLeads.Academy. This is the first time such exclusive material has been made available in such an accessible format and at such an affordable price. So don’t let your small investment fool you into not taking action – this stuff works. Occasionally an exercise will be suggested; I would recommend that you do the exercises as they come up, but you can also wait until the end of the module and do them all together. As we go along, I will also include book recommendations and the most important resources available on the web today, to help you move forward in your quest for Financial Freedom. What can you do to get ready for the rest of the life-changing information in this book? Complete this statement, ‘I will feel wealthy when…’ with as many items as you can. Then take another piece of paper and complete this statement, ‘I ALREADY feel wealthy when…’ Again, push yourself to fill it in as many times as you can. When you have completed this exercise congratulate yourself. You have already shown yourself to be very different from the 95% of people who read books, attend seminars and… …do nothing. Read them again. Interesting, aren’t they? We’ll come back to those later in the book. Keep them safe. Welcome to The Money Gym community. When you decide to download this book, you will have made a great decision, one that will most probably change the way you think about, and relate to money forever! Discovery do you know where you are now? Beliefs, Behaviours & Attitudes what’s holding you back? And where did those beliefs come from? In the early days, many people don’t want to be wealthy or become a millionaire – that’s too big and scary! I’m going to help you develop a positive and intelligent way to think about money so that you can go forward with confidence, holding the right tools and possessing the knowledge to improve your life – and those of your family and friends – forever. With your enhanced ‘Financial Intelligence’ you get to choose what to do with it and why – rather than relying on someone else for answers. As I spend most of my waking life involved with money, finance and wealth creation in some shape and form, it was inevitable really that I would eventually meet Nicola, which I did in around 2001. I am proud to say that we soon became firm friends and colleagues, co-mentors and support coaches for one another. 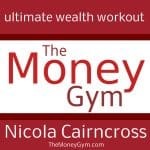 So when Nicola asked me to write the foreword to this book on the Money Gym I, of course, immediately said yes. So I sat down to write and unusually for me I got stuck. The responsibility for writing for myself – which I do copiously every single day – is quite different to writing something for somebody else. I struggled with creating a fantastic opener – should I go for a quote from Shakespeare – or perhaps something more contemporary, surely Kiyosaki at the least? And then it dawned on me – I should just it tell it like it is, so here goes. 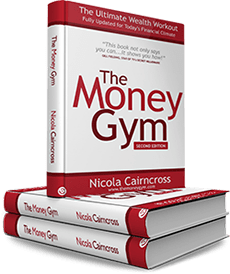 This book is partly about Nicola and her journey through wealth creation but more importantly for you as a reader, this book is a template for anybody who wants to create wealth, as it takes you through all the major steps you need to follow. I have seen many people in my wealth creating career and the vast majority of them are frightened by money and how it impacts their lives – it is the universal excuse for lack of action – what balderdash! What stops people taking action is the fear of moving out of their comfort zones combined with the lack of belief that change will produce results for them. So to help you address that, this book will tell you the path to take and what to do, hence eliminating many of the fears and challenges you are wrestling with. You don’t have to worry about the next step, you just follow the instructions, which are a logical and gradual flow through the financial intelligence arena. So this book is a guide, and a helper: it is a route map and an action plan; it is a work book and it is an emotional support. It ensures that you set and follow a targeted action plan which is specific and relevant to you. 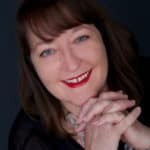 Nicola is a brave and abundant woman, who has been through her own, sometimes difficult, wealth journey, but having learned the lessons herself she now gives generously of her time, beliefs and energy to me as a friend and colleague and to all who encounter her – including you! There is no better teacher and mentor than Nicola and I am sure that whatever your financial ‘challenge’ there will be some guidance in this book for you now. With Nicola’s help, this book will help you break through some of the traditional and ‘accepted’ limitations and boundaries to financial intelligence and take you through many exciting topics such as financial flows, compounding, and investing – I am excited by that even now despite many years of financial awareness and freedom in my own life and I am envious of you if this is new to you – what a fantastic journey you have – and there is no better guide for you than this. This book not only says you can… it shows you how!